C'était très occupé dupuis quelque semaines, mais j'ai fini les "poppies" et je suis très content de mon PPP. I was super busy the last two weeks, with the grand kids and the guys out big game fishing , but I did manage to finish the poppies quilt!!! Another one, sorry it is big!!! 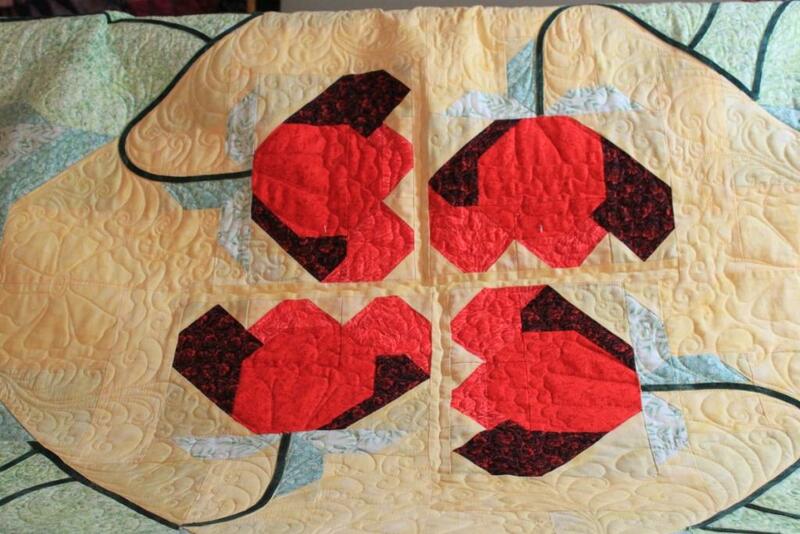 Wow...I just love poppies....great quilt Suzan! how nice are the poppies !!! Wow! Just beautiful!!! What a talented bunch of quilters we are!!!!! Very pretty. Nice job and love all the quilting. Susan, it is beautiful! Wonderful! You rock, Girlie!!!! Susan; I like your work. It looks like you had entirely too much fun quilting the poppies, Suzan! I love your tendril feathers and the way you quilted the poppy petals! Suzan is coming to the US in October, we are trying to plan a trip to the Houston Market. Life is wonderful!! 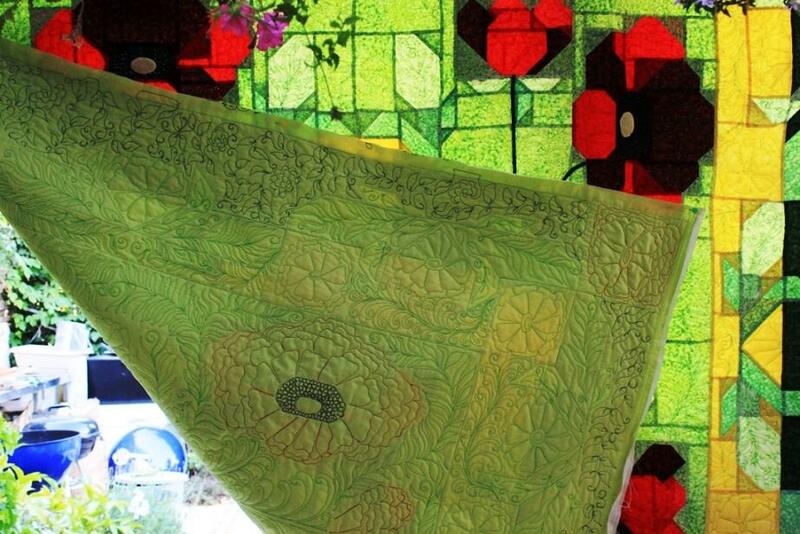 The quilt has a very "art nouveau" style and your great quilting designs only enhanced the effect! Beautiful job! Great quilt!!! Thanks for sharing it with us.